No sweat, Lee . We just see a lot of it here, and some people answer our questions inside the quoted material or at the end of it, and we have to expand the balloon to check. We have probably all done it somewhere, some time. I have to head off shortly - got sidetracked by a recalcitrant Win 10 that did not like sharing with a number of my Linuxes so I boxed it about the ears and it is OK now. If, after getting everything set up, will I have to go through it all again if I choose something different? Simple answer is No, not necessarily. Also a tip here, and when we name someone with our @ as well having an autocomplete on long and complicated User IDs, it flags the person next time they enter the site that someone has mentioned them. You and @bustedflush have both joined us last few days, and have Threads that may share common ideas. You are both also in the Grownups League of 50+, I think. So you might even want to "follow" each other's Threads and gain ideas of use to each of you? bustedflush, atanere and Condobloke like this. 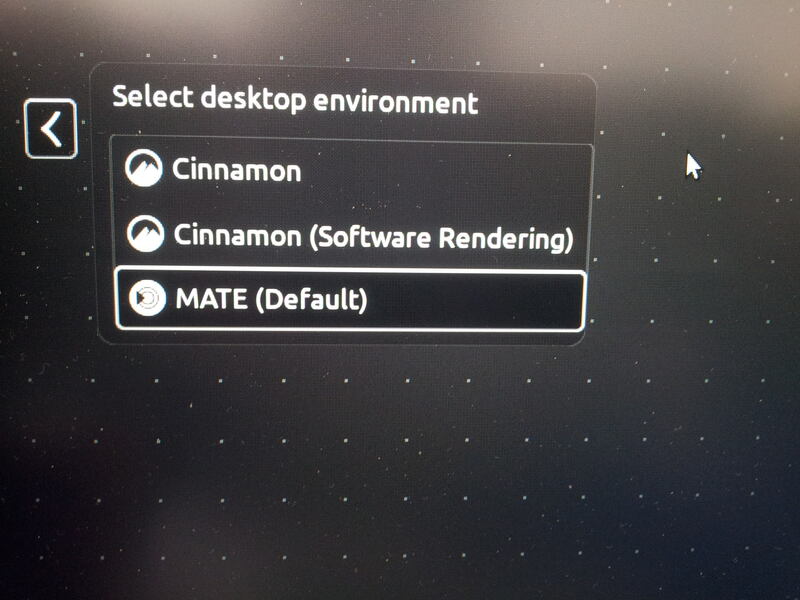 I've installed the MATE edition but, honestly, I was hoping for something with a bit more beauty. Hard to define that, I know. 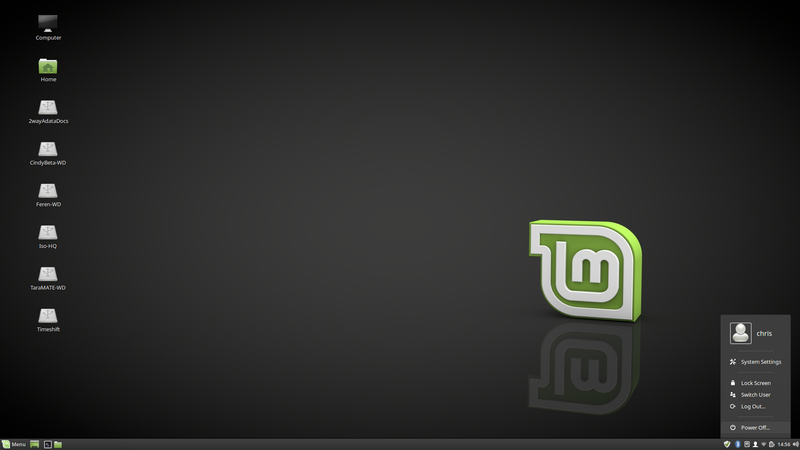 In the Linux Mint line, I think Cinnamon has more visual appeal.... but it's not a lot. Cinnamon and MATE are fairly similar. Of course, I hope that you've already found that there is built-in wallpaper that you can switch to.... that is the first step to making Mint (or most distros) look a lot better. And you can use your own images or others on the web to turn into desktop wallpaper also. On the "visual appeal" search... besides Mint Cinnamon, you might like Zorin, Bluestar, PCLinuxOS, Deepin, and one called "Linuxfx" that may not be readily available on Distrowatch. Linuxfx uses a primary language of Portuguese, but it will install an English version... you just have to watch it carefully (this will be easier after you've installed a few other distros and get the hang of it a little better). These are all a little different, but they're still operating systems... still have desktops, still have start menus and/or a dock to launch programs... so there's always going to be some kind of familiarity between them too. Oops, if you're interested in Linuxfx, you can run this page through Google Translate. Worked all night... going to bed! Have fun! These others folks on here will steer you straight too.... it's a good group of people! wizardfromoz, Condobloke and LeeRex like this. Sounds like a good idea. I'll read up and follow when I get back in this evening. OK, impressions as I continue to play. So far it seems that the command line comes into play alot. I'm not a programmer, so is the command line something that is really important to me? I'm trained to just clickon things. Can I get by with that and later concentrate on the command line? Yes, Lee, you can do all, or almost all, of your tasks with Linux using GUI tools. But you don't need to be a programmer to use the command line... mostly just follow directions and copy/paste things sometimes. With time and experience, you will probably recognize how valuable the command line is... it's fast and powerful. You can try to prod us to give you GUI examples... for example, you could have enabled your firewall from a graphical menu (though you might have needed to install it first - LOL). But for troubleshooting problems, we will rather use the terminal most of the time because it is so much more effective and can provide so much relevant information. It's not as scary as it seems! And, I have a 64gb usb stick. I know I can install Linux on it, but should I? No need yet if VirtualBox is working okay for you for testing. But when you pick one to install to the hard drive you will need USB or DVD with Linux properly "burned" to the media so it will boot your computer. You can't just copy the .iso file over. The .iso file is an "image"... so you'll hear the term "burn image" usually when preparing a Linux DVD. "Burn image" is a special tool in CD/DVD burning software. If you want to use the USB, we'll direct you to some free programs that will perform this task. Personally, I like DVD's and then I keep them around for an extended period as a backup or to share with others. USB's can sometimes seem to get hosed up and lose their capacity... but this is fixable with Linux (but maybe not with Windows). Just a holding post because I am as busy as a blue-arsed fly on a cow pat in summer. Regrets. Then, armed with that, when you try different Distros you can get familiar with the DEs you like and don't like. Not so well known is that with many Linux Distros, you can install a different DE, and choose which one to use at login time, through an icon that appears on the right. Then I go to Synaptic Package Manager and run a search on desktop environment, and I get a long list which includes most of the DEs listed in that article I linked to. One of the characteristics of Cinnamon is the small bust in system tray at right, which has options I have shown here. I can explain in more detail tomorrow my time, if you or @bustedflush or others are interested. LeeRex, bustedflush and atanere like this.